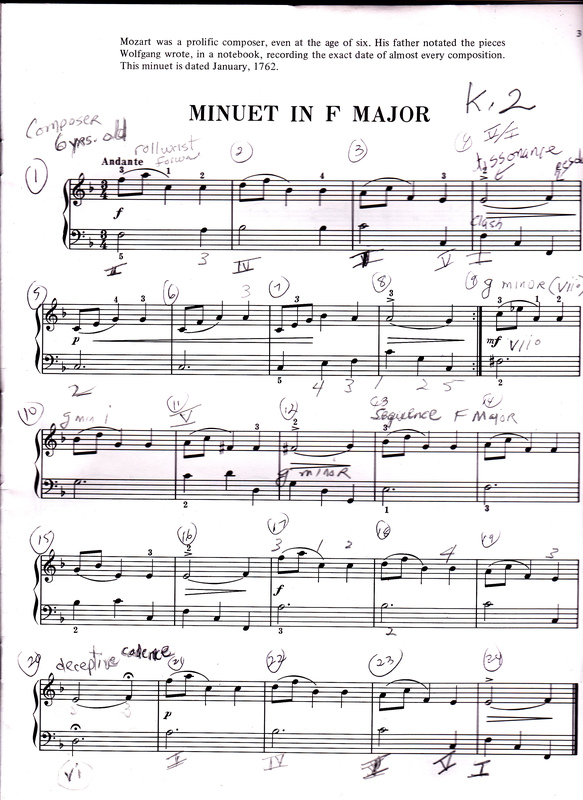 Mozart composed this Minuet when he was 6. Its beautifully crafted melody woos the listener from the very first measure with a curvaceous broken chord springing into graceful quarter notes. A forward wrist motion helps with shaping lines, softening the impact of weaker second and third beats. In measure 5, there’s a change in melodic direction which is ear-catching. The player should communicate its novelty. The B section (starting in measure 9) is like a Development, modulating to G minor through its dominant and quickly back to F by way of the primary dominant. The key transition is a SEQUENCE. A moving DECEPTIVE cadence occurs in measure 20 (V to Vi chord) just before the piece tapers to a final cadence. All dynamics and phrasing should be observed. The video fleshes out a separate-hands approach along with an analysis of harmony and voicing.